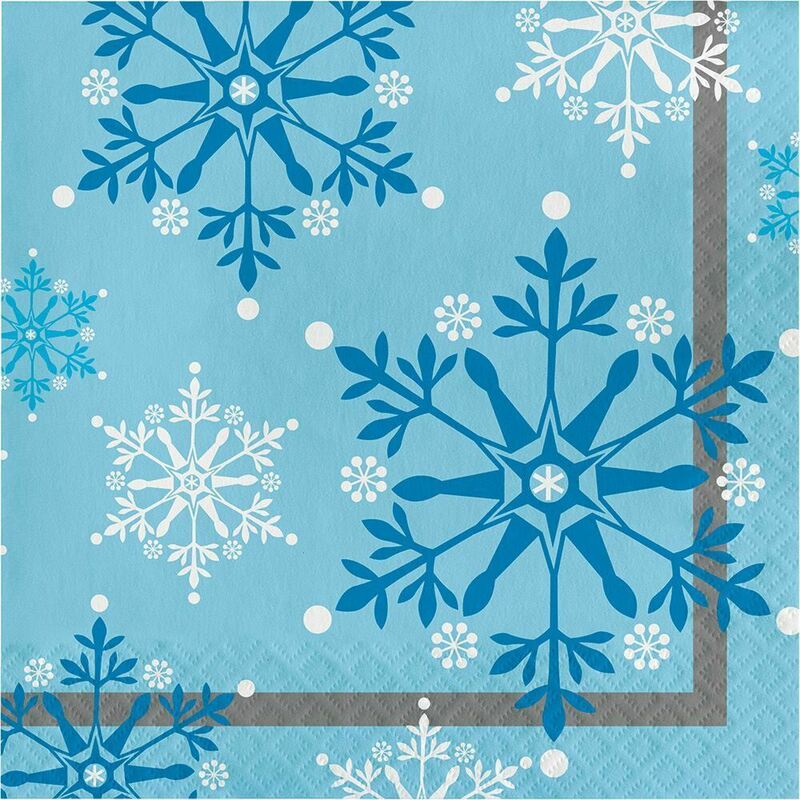 Snowflake Swirls Snowflake Swirls Collection offers frozen fun with lovely snowflake pattern of silver and blue. 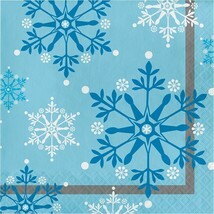 Accent this holiday dinnerware with coordinating solid colors of Shimmering Silver and Pastel Blue. 2 ply Paper Luncheon Napkins (16 ct) Paper/Plastic Tableware is meant to be one use and disposable.